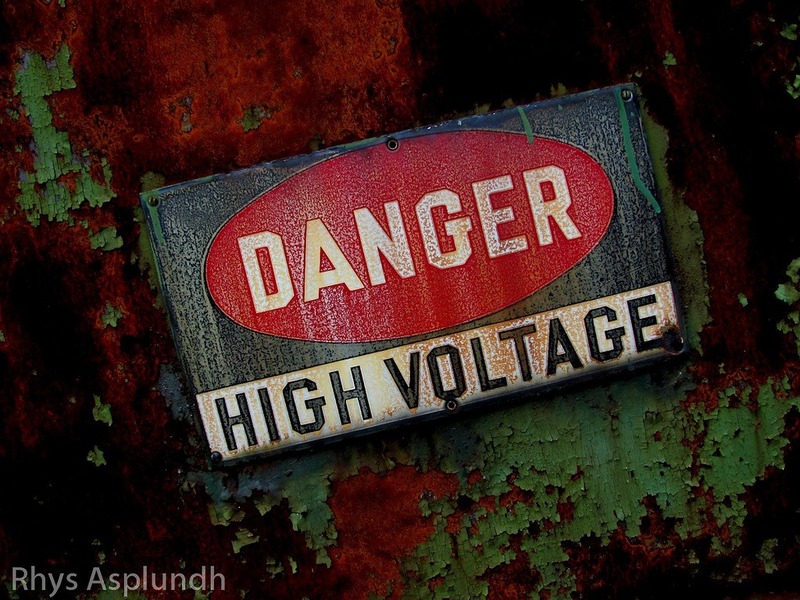 Danger: High Voltage by Rhys A. First, people build walls. But they need doors to get through them. But doors need closing. They could hire a person […] to do this job. But they delegate this job to a machine. Now that the machine is broken, a text must be substituted to enroll the passing door user in closing the door. Who really governs a nonprofit organization? Over the past decade, several scholars have asked this question and highlighted the need for new perspectives and research on nonprofit boards and governance. The common assumption, of course, is that the board is always at the center or in control of the governance process. But this assumption has created a very limited—and opaque—vantage point from which to examine nonprofit board governance. It is also entirely human-centric—which, as we will show, does not allow for a full-spectrum analysis of all that is brought to bear on the creation of a system. In order to dismantle and examine power relations inside and outside the boardroom—in other words, to open the black box of governance politicking, power struggles, and actual board behavior and decision making—we may need to go beyond the established frameworks and images and begin to pull in alternative views and ideas to better comprehend questions such as who really governs. One such alternate perspective is the concept of the dominant coalition, which we reintroduce here as an entry point into the question. The basis of the dominant coalition approach to nonprofit governance is that one must distinguish between boards and governance, because the board is a structure whereas governance is a function; and even though the governance process may officially be the work of the board and include all or most of its members, it is entirely possible that in actuality it does not. The dominant coalition concept explicitly recognizes that nonprofit governance is a political and organizational process that inherently involves multiple layers and stakeholders inside as well as outside the boardroom. As a consequence, governance research needs to give explicit consideration to the existence of a “dominant coalition”—that is, a discrete collection of people outside of the board who act as a group to exercise power and engage in some or all dimensions of governance. We are using the dominant coalition lens as an entry point because, in a very real sense, regardless of who is involved, the dominant coalition by definition represents the veritable “home” for nonprofit governance activity. But while the dominant coalition lens provides an alternative entry point, we must also examine the issue from multiple perspectives; and a key question is which additional theoretical perspectives are likely to be useful in understanding the dominant coalition and, further, the larger phenomenon of dominant coalitions in nonprofit board governance. One such perspective that brings useful insights to the study of dominant coalitions (as well as nonprofit governance) is actor-network theory (ANT). This article focuses on ANT as a door into this concept of human-nonhuman symmetry, and presents two central ANT concepts: enrollment and inscription. We then assess a critical governance incident—the firing of a cooperative’s founder—from a “conventional” nonprofit governance perspective, a dominant coalition perspective, and, circling back, an ANT perspective, to show how these lenses help illuminate different aspects of nonprofit governance. Broadly defined, actor-network theory is an analytical framework that enables us to examine networks consisting of an array of actors. ANT is a so-called anti-essentialist perspective, meaning it does not simply assume or accept that there is a clear separation between, for example, society and nature, or context and content. Instead, ANT is interested in the overlap of such pairings, and looks at the pairings as properties of collective activity. Put differently, a “thing” (say, board structure) attains significance and meaning in relation to another “thing” (say, board member behavior), which is why it is relevant to study actors and practices from a network perspective. This symmetrical approach ascribes politics and agency to material artifacts—even seemingly mundane texts like memos, e-mails, signs, etc. For humanists, this may seem to detract from human agency and responsibility. ANT doesn’t anthropomorphize objects, however; rather, it provides a tool to consider the various ways humans and nonhumans work together to accomplish tasks and, importantly, build networks. The Heysham plant is inscribed/translated into manageable, transportable artifacts (texts, procedures, systems, techniques, etc.). As such, these artifacts are deployed in networks that enable interpretations, relationships, and political network dynamics among the plant’s employees, researchers, and activists. These nonhuman artifacts are linked with human beings to create a broader network called Heysham nuclear power plant. Each actor needs to be continually reenrolled through exchanges of money, power, information, etc., in order for the network to remain stable. In this way, the artifacts are vital to maintaining the network and are coactors alongside the network’s human members—for example, providing policy makers with environmental impact statements and employees with information on risk. Or, to look at it another way, Bruno Latour, examining the function of scientific instruments as inscription devices, writes, “Yes, scientists master the world, but only if the world comes to them in the form of two-dimensional, superimposable, combinable inscriptions.”9 Latour and Myers reveal the tools humans use in aid of inscription—and the sign itself—to be not neutral objects but rather cosubjects/coactors in a network. The Heysham plant should be understood as part of an ongoing process of enrollment and disenrollment. Myers’s description of the plant accounts for its imbrication in the social and cultural network around the object and for a range of human and nonhuman actors. Actor-network theory—attending to a broader range of actors to account for the social, political, material, and economic implications of networks in this way—can help reflect on governance in nonprofits by providing a framework that accounts for the totality of the material world rather than focusing solely on the human agent acting in that world. This broad ecological analysis is especially useful when accounting for political change in an organization, as we can begin to analyze the roles that not just people but also texts, places, narratives, and objects—indeed, the whole web of enrolled actors that make up an organization—play in the act of governance. In order to begin to comprehend how ANT can contribute to the field of nonprofit governance, we decided to use the event of the firing of an organization’s founder. Firings are entangled in governance in multiple ways, involving issues such as accountability, authority, and strategic leadership—and analyzing such critical incidents as a firing enables researchers to look for patterns and to seek insight into how and why people engage in the activity. The site of our research was a cooperative in Milwaukee, Wisconsin, which has a two-tiered pyramid structure. The top tier consists of member-owners: individuals who have bought into the cooperative by paying a fee. Membership privileges include participating in members-only events, voting in elections, and other privileges, some of which are dictated by state law.12 The bottom tier consists of the Workers’ Collective and the board of directors. The Workers’ Collective, a group of autonomous workers that includes bouncers, bartenders, an events coordinator, and a finance team, manages the cooperative. The Workers’ Collective is responsible for the daily operations, scheduling, bookings, and stock of the bar. In addition to working closely with member-owners, it responds directly to the board of directors. A pseudo-manager has recently been instated to supervise the bar. The board of directors is a group of nine members democratically elected by co-op members in open elections, and is dictated by Wisconsin state law as legally responsible “for the co-op’s continued viability” and accountable to the member-owners. While the board is legally accountable for the actions of the cooperative at the state and federal level and oversees the Workers’ Collective, the workers manage the day-to-day operations of the bar—from hiring and training to inventory and events. Though the board of directors shares the burden of legal responsibility, the bar operates by collective management. Additionally, the bar supports a full bartending, cleaning, and auxiliary staff. A founder, “Sophia,” was recently fired.13 Sophia was integral to the founding of the Milwaukee cooperative, having worked on the idea from its conception; however, Sophia was a self-admitted alcoholic, and at times, while intoxicated, would act inappropriately. Following a series of write-ups by the manager, Sophia was suspended by the board, which then provided the Workers’ Collective with a mediator to decide whether to eventually reinstate or fire Sophia. After a brief meeting with the mediator, the Workers’ Collective unanimously decided that Sophia’s employment would be terminated. In this section we examine the firing incident from the three perspectives mentioned earlier, and discuss how bringing in additional perspectives helps illuminate and open up the ways we approach and understand nonprofit governance. The term “firing,” or “termination,” primarily occurs in the conventional governance literature as part of a particular board role—as in, nonprofit boards must fulfill their fiduciary as well as legal responsibilities and perform such tasks as hiring and firing the executive director, ensuring that the organization’s mission is protected, and so on. Yet after searching the existing literature, we found little nonprofit governance research focusing on the dynamics or process of firings. One exception is Linda Hartenian, who analyzed circumstances and behaviors associated with the termination of nonprofit volunteers (but not managers or other paid staff).14 There is, however, plenty of research focusing on various factors that can aid in comprehending and analyzing such situations as firings, founder’s syndrome, nonprofit “scandals,” executive transitions, and accountability and oversight issues (including systems and practices vis-à-vis nonprofit risk management, fraud detection, and internal control). Overall, the existing “conventional” literature is very useful for bringing context and formal boundaries to nonprofit governance, but it can be excessively normative, a bit static, and/or overly focused on structure, inputs, and outputs rather than on the dynamics that help explain and bind these elements together. Janet Greenlee et al., for example, studied fraud in the nonprofit sector and found that 72 percent of the fraud cases they examined resulted in termination; they go on to offer practical advice on how to boost accountability by improving board quality, buying insurance, and having an audit committee.15 The authors also note that 7 percent of the fraud cases resulted in no punishment, and when they asked why, received such answers as “fear of bad publicity” or “internal discipline sufficient.” Despite the interesting governance implications of these statements, the authors did not examine them in any further detail. Board research is sometimes accused of being involved in ideal models with assumptions far from practice; thus, what is needed is research and insight into what is “actually going on” when we talk about governance. David Renz and Fredrik O. Andersson’s emphasis on dominant coalitions offers one step in this direction.16 A key question from a dominant coalition perspective is, who really governs a nonprofit? And in order to answer it, one must start to examine the political dynamics surrounding the formation of alliances and partnerships—as well as how power differentials among board members and other stakeholders influence nonprofit governance processes and outcomes. Hence, one way to understand disparities between what boards are expected to do and what they actually do can be explained by power relations. Renz and Andersson argue that process studies integrating decision making inside and outside the boardroom are very much needed, as we still know little about how power and influence inside and outside the boardroom contribute to nonprofit governance. To comprehend a firing from a dominant coalition perspective, it is essential to conduct our observing and theorizing based on what has been and/or is going on in practice—rather than only making assumptions based on simple models—by exploring the politicking and strategizing in and around the boardroom and how the stakes of various actors are balanced in reality. We must ask which are the power sources and techniques applied by various actors, including the dominant coalition. Hence, a central premise of the dominant coalition perspective is that we must consider both interior and exterior aspects of dominant coalitions. We must continue to develop our capacity to explore and analyze the power, behavior, processes, and consequences of the dominant coalition as an entity/agent as it relates to governance, noncoalition members, and organizational outcomes, and we must also continue to work on understanding and examining the role of power and influence, etc., within the dominant coalition itself—i.e., the governance of the dominant coalition. Given “Sophia’s” role as a founder, Renz and Andersson also view her firing as a particularly interesting governance incident—founder-driven dominant coalitions are an especially important and common form of dominant coalition in the nonprofit world, due to the fact that every organization begins with a founder or set of founders who bring together some (often small) group of people to help them establish and develop the organization.17 Thus, unlike other types of coalitions that may—but do not necessarily have to—emerge at particular points later on in the ongoing life of an organization, founder-based coalitions are a natural part of the start-up phase in the life of an organization. At this very early stage, little empirical nonprofit governance research based on the dominant coalition perspective exists; it is clear, however, that with its emphasis on human agency, power, and alliances, the dominant coalition perspective allows us to get a more nuanced view of who really governs nonprofit organizations and how—or, in other words, helps us to open the black box of actual behavior associated with nonprofit governance rather than the behavior we are used to associating with board governance and so take for granted. Actor-network theory is especially useful here because, as we will see, the shifting networks of humans and nonhumans that characterize the intensely social aspect of such businesses as the cooperative in question—businesses that don’t have a preconceptualized structure, which a more conventional business may have at the ready—help to demonstrate how a business takes shape and changes over time. An analysis of a termination event as it unfolds can provide insight into how these kinds of big, political decisions are made at the board level. Using actor-network theory’s approach to understanding networks of political alliances allows us to trace power. The founding actor network of the Milwaukee cooperative is a mixture of individuals with different experiences, motives, values, and levels of expertise. Together with documents like bylaws, the liquor license, codes of conduct, and mission statements, they formed a network that was stable and powerful. Other actors, like “contractor,” “Common Council,” or “lender” could be temporarily enrolled through translation of goods and services, but this continually remade network of founders formed a dominant coalition that largely controlled the organization. Renz and Andersson identify several key issues with founder-driven dominant coalitions, including high levels of influence and long-lasting impact on the structure. Even when founders may not be seeking this level of influence, for a democratically elected board of directors and an organization that strives to represent its membership this influence may be problematic. Actors are enrolled for a variety of reasons and purposes, and as long as they are continually enrolled into the network, their position is stable. Over time, as the business evolves, founders leave and new enrollments are added to the networks. In the instance of the Milwaukee cooperative, as original founders left and enrollments changed, staff and directors began to relate to the organizational texts differently. They did not share the relationship to the texts that the original founders had. For example, the employee handbook was a relatively new document that came about because of tension over expectations of employees. Practices and agreements were inscribed in this handbook, which was then enrolled into the new network through multiple connections and with a variety of rhetorical consequences. This was also the case with the newly formed incident report—a document meant to function both horizontally and vertically by empowering employees to take autonomous action in a situation and to inform the board of any issues. Through inscribing a particular “take” on a situation, employees were able to frame a scenario—to give it an authenticity to be acted upon by the board—and these portable artifacts were invoked in a variety of ways. Just as with the door closer and Heysham nuclear power plant, inscriptions enabled particular interpretations and relationships: whoever wrote and submitted the incident report could, however unintentionally, reconstruct the scene with a bias; and just as new texts were enrolled in a growing and changing network, so, too, the finance committee and other founders enrolled into the new, stronger networks and shifted their allegiance to the texts. However, other actors had fewer enrollments—fewer connections—and were thus enrolled in a weaker network. The same is true of an older document the organization called their manifesto, which traces back to the very beginning of the cooperative and its founders. Sophia found herself with fewer enrollments and a weak network, while new personnel, like “experienced bartender” and “pseudo-manager,” had multiple enrollments and thus a strong, stable position across networks (of course, so long as “experienced bartender” and “pseudo-manager” were continually reenrolled). This change of enrollments led to the dissolution of a network. While actors could be reenrolled or enrolled in another network, this did not happen for a multitude of reasons, and the reconfiguring of the founding network and dissolution of connections left Sophia in a weak position. First, incident reports complaining of Sophia’s behavior, including violation of the business’s new “Safer Space Policy,” were submitted by the workers. These reports went to the (new) manager, who issued write-ups and submitted them to the board. Then, members of the board acted upon those artifacts by suspending Sophia and “empowering” the Workers’ Collective to act. Finally, the Workers’ Collective unanimously voted to Are Sophia. As all links were broken, the dissolution of the old founding network was complete. The incident report, the “Safer Space Policy,” and the experienced bartender and pseudo-manager were all newly enrolled actors with multiple connections, and their interests translated across numerous nodes, including the Workers’ Collective, the board, and member-owners. In these newly configured networks, the new actors (“incident report,” “Safer Space Policy,” “pseudomanager ”) held more power than Sophia; left without enrollments, Sophia was removed completely. In this article we have sought to expand the opportunities of the dominant coalition perspective for studying nonprofit governance by illuminating views and ideas from actor-network theory, broadly defined. Scholars will need to explore and examine the dominant coalition idea from multiple perspectives in order to determine which theoretical perspectives are likely to be more or less useful in understanding the dominant coalition and, therefore, the larger phenomenon of dominant coalition in nonprofit board governance.18 One of the theoretical perspectives we propose is social network theory, which could help answer such questions as how are dominant coalition members linked to each other, and what is the nature of these relationships. Social network theory is a strong perspective for understanding the power of human relatedness and the advantages and opportunities made possible by a person’s position. ANT also encourages and enables scholars to take into account the agency of nonhumans (machines and texts, among others) by showing how an ANT network can be conceived as a heterogeneous amalgamation of textual, conceptual, social, and technical actors. Rather than focusing on just human actors, ANT uses the concept of the actant to represent any agent, collective, or individual that/who can associate or disassociate with other agents. Thus, ANT is interested in how actants themselves develop as networks and become nested in other networks. Our ANT analysis of the firing of an organizational founder revealed as it unfolded that network changes at the board level make it possible to fire a founding member who at one time held power. This analysis reveals the evolution of a network: it is ultimately Sophia’s lack of enrollments in the new, robust network that enabled the Workers’ Collective and the board of directors to displace her. Overall, paying close attention to the political and power-focused lens offered by the dominant coalition perspective and combining it with an ANT lens looks to be a promising approach for nonprofit governance research. Because ANT can be considered as much a method as a theory, it informs both the conceptual frame used for interpretation and guides the processes through which networks are examined. A key purpose of this article has been to show how alternative perspectives, in addition to what we labeled the “conventional” perspective, can help illuminate and open up the way we approach and understand nonprofit governance. The “conventional” lens offers obligatory insights into the legal requirements, roles, and requirements of boards and board members, and so is useful in comprehending the overall framing of nonprofit governance. The dominant coalition perspective adds to this structural frame of governance an explicit focus on actual stakeholder behavior, by asking such questions as “who really governs?” and taking into account elements such as power, politics, and alliances, both inside and outside the boardroom. Finally, the ANT lens directs attention to the intimate and inseparable coexistence between various human and nonhuman actants by showing how they connect and thus bring meaning and significance to various elements of the nonprofit governance process. But why bring these additional perspectives to the table? What do they contribute to the study of boards and governance? We believe it is important to look at the subject through different lenses because nonprofit governance can be inherently complex—even, at times, ambiguous and deceptive—and often surprising. In order to comprehend and take account of the peculiarities of such a dynamic construct, we must move beyond single narrow perspectives—which end up promoting narrow responses and solutions—and take steps to increase versatility and thus increase options for scholars and practitioners. To be clear, we are not saying that employing a particular governance perspective (e.g., the conventional one) is wrong; but each perspective is a window that enables us to see some things but not others. For example, we would argue that ANT is not very useful as a standalone perspective from which to study governance. What we are saying is that it is important to expand our understanding of nonprofit governance by developing options. And, taken together, these options can help us to see the tapestry that is nonprofit governance in a new—and hopefully useful—light. Liza Potts, “Using Actor Network Theory to Trace and Improve Multimodal Communication Design,” Technical Communication Quarterly 18, no. 3 (June 2009): 286. Clay Spinuzzi, “Who Killed Rex? Tracing a Message through Three Kinds of Networks,” in Communicative Practices in Workplaces and the Professions: Cultural Perspectives on the Regulation of Discourse and Organizations, Mark Zachry and Charlotte Thralls, eds. (Amityville, NY: Baywood Publishing Company, 2007), 50. Spinuzzi, “Who Killed Rex?,” 49. Greg Myers, “Out of the Laboratory and Down to the Bay: Writing in Science and Technology Studies,” Written Communication 13, no. 1 (January 1996): 12. Kimberly A. Zeuli and Robert Cropp, Cooperatives: Principles and Practices in the 21st Century (Madison, WI: University of Wisconsin-Extension, 2004), ebook, accessed June 1. Linda S. Hartenian, “Nonprofit agency dependence on direct service and indirect support volunteers: An empirical investigation,” Nonprofit Management and Leadership 17, no. 3 (Spring 2007): 319–34. Janet Greenlee et al., “An Investigation of Fraud in Nonprofit Organizations: Occurrences and Deterrents,” Nonprofit and Voluntary Sector Quarterly 36, no. 4 (December 2007): 676–94. David Renz and Fredrik O. Andersson, “Leadership, Power, and Influence: The Impact of the Dominant Coalition on Nonprofit Governance” (paper presented at the 40th Annual Conference of the Association for Research on Nonprofit Organizations and Voluntary Action [ARNOVA], Toronto, Canada, November 17–19, 2011); David Renz and Fredrik O. Andersson, “Bases of Power and the Dominant Coalition in Nonprofit Organization Governance” (paper presented at the 10th International Conference of the International Society for Third-Sector Research [ISTR], Siena, Italy, July 10–13, 2012). David Renz and Fredrik O. Andersson, “Who Really Governs and How: Understanding the Power Dynamics of Founder-Driven Dominant Coalitions in Nonprofit Governance” (paper presented at the 42nd Annual Conference of the Association for Research on Nonprofit Organizations and Voluntary Action [ARNOVA], Hartford, Connecticut, November 21–23, 2013). Fredrik O. Andersson is an assistant professor with the School of Public and Environmental Affairs at Indiana University-Purdue University Indianapolis. Avery Edenfield is a PhD candidate at the College of Letters & Science, University of Wisconsin-Milwaukee. A learning organization appreciates its past performance but does not rest on it, and is always open and looking for new ways to do deeper, better, more impactful work. It is an organization that does not use data just once, making one set of changes and then moving on. It creates an ongoing process of review, learning, and reflection. Leaders in these organizations regularly ask themselves, “Are we doing the best we can for every client?,” and look for the answer to that question in data, not just anecdotes. And for every improvement they make, they reassess, tinker, and continue to improve.